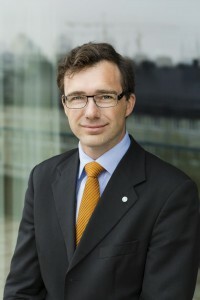 Robert Limmergård, Secretary-General of SOFF. As of 1 May 2014, I am Secretary-General of SOFF. As Secretary General of SOFF, I am proud to represent the globally competitive defence and security industry in Sweden. A business that is driven by technology, but influenced by national and international public policy. My aim is to further develop the association and its role as a unified voice of the Security and Defence companies in Sweden, as well as a partner for the Nordic and European organisations. I believe that by flourishing the technological expertise we are able to create a foundation for our country’s contribution to an efficient defence base. In the long run, we will only manage to maintain our technological skills if we succeed on (opening) the export markets. In light of the different framework conditions within European Member States, we need a market that is based on competition and product quality with a level playing field. In order to develop the competitiveness, I act as a link between businesses, society, institutions, politics – and the media. Read Curriculum Vitae of Robert Limmergård here.